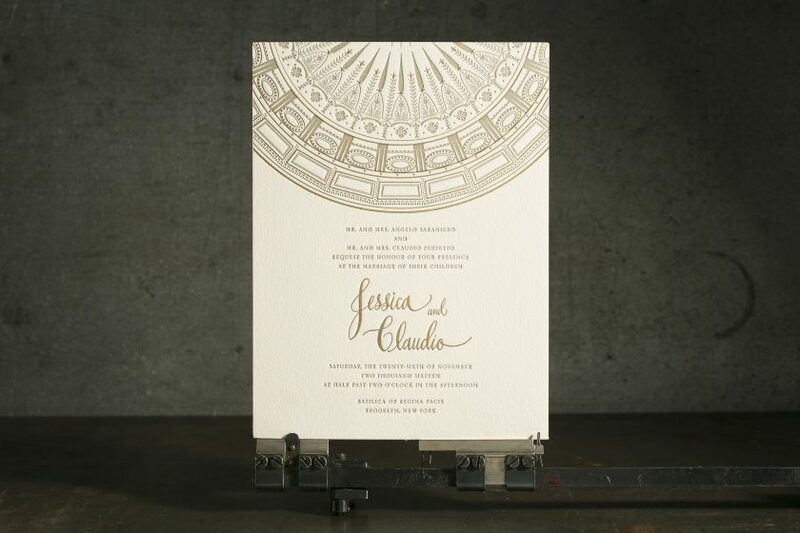 Intricate letterpress and foil stamped wedding invitations. letterpress printing and foil stamping. Bella Cotton Ivory 1-ply + 2-ply paper. 1 letterpress ink (desert 7529u) + 1 foil color (gold matte). printed on our Heidelberg Windmill 10 x 15 + our Kluge 14 x 22.
the custom illustrated wedding invitation (6.25″ X 8.375″). Bella Figura designer Brenda Fox created a custom illustration for Jessica and Claudio’s November wedding invitations. 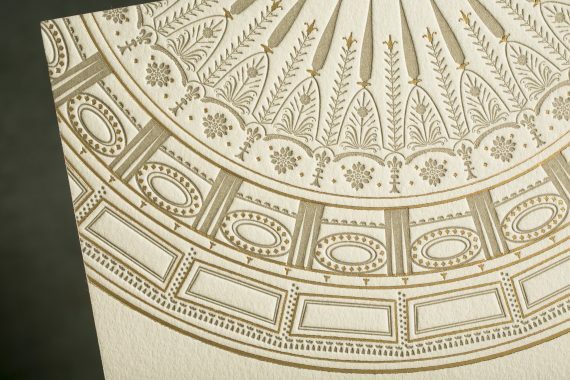 The intricate elements of the custom artwork were reminiscent of the stained glass windows in the Basilica where the wedding ceremony was held, and intertwined fine letterpress and foil stamped details. A corresponding reply card (3.5″ X 4.875″) and reception card (4.625″ X 6.25″) were also printed to match. 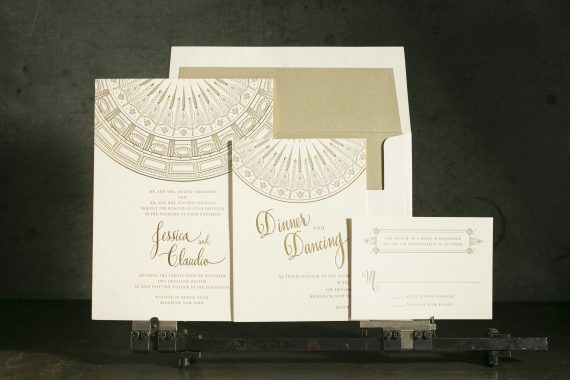 The invitation envelopes were lined with metallic gold leaf text weight paper, with a letterpress printed return address and digitally printed guest addresses finishing off the set.